General TV Channel / DanmarkC TV is a local anchored TV station that, without any form of financial support, had a start on 1 November. The TV station's first broadcast was a direct program from Peugeot's premises on Vesterballevej in Snoghøj, and the program contained both interviews, feature and live music with the Beatless orchestra "SGT. PEPPER ". Since the start of the broadcast, DenmarkC TV has continuously developed and compassed the broadcasts to what they are today, and this skill lift continues at a fast pace. 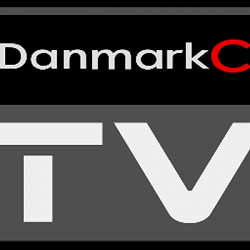 In March 2014 became DanmarkC TV selected to be one of the five local TV stations that was granted a broadcasting license in South Denmark. DenmarkC TV has a fleet that must always be operational. DenmarkC TV has an annual operating budget of just under 1.5 million. crowns. The amount is financed partly through state grants, and by performing external productions in the form of Web TV and profile film for companies.